Some time back at a conference in London, a fellow translator shared with me and everyone else in earshot that she was done using Twitter as a professional tool. She claimed to have invested way too much effort and time with virtually no return. I’ve been thinking about this ever since, wondering how much I’ve benefited from my investments into social media; to make it short: I have benefited and continue to benefit. A lot. Twitter in particular is the fastest place to gather current, relevant information that is important to me. Twitter is also a phenomenal way to get my message out. Twitter is also a great place to forge relationships with colleagues and, just as important or maybe even more so, with potential clients and those with influence who can open doors to interesting opportunities. To make the best of it, I would suggest three considerations as an over-arching strategy for translation professionals who use social networks. First, pre-determine what you want to achieve on any or all of these networks. For instance, if you “just” want to build relationships with colleagues, you might want to engage yourself within certain Facebook or LinkedIn groups. If you also want to interact with the outside world, you might want to use Twitter and a slightly different strategy on LinkedIn, Google Plus, or Facebook. Next, specify how much time you want to spend every day. For example, I have found deep involvement in some of the discussions on LinkedIn too time-consuming, but my Twitter activities easily fit within, say, 20 minutes a day. Lastly, decide if and how you plan to separate your private from your professional life. I tend to un-follow folks who make a regular habit of sharing their dinner plans or levels of fatigue, but others seem to like it. Essentially, you determine who will follow you by what you share and how you share it. Your very close translator-buddies are most likely going to follow you either way, but the idea of social networking as a professional is to make that circle larger by having others see what you have to say as well. Where to start? Look at some folks who are successfully using one or more of those media. See what they have to say, who is following them, and whom they follow. 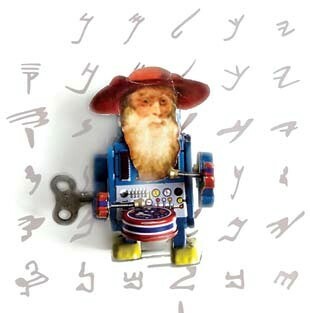 And for Twitter, be sure to check out Jeromobot, the patron saint of the modern translator. I had a chance to speak with some folks from SDL last week about their upcoming end-of-September launch of SDL Trados Studio 2014 and MultiTerm 2014. In the very back of my mind I had hoped to see some kind of game changer in the new incarnation of the software, and I was disappointed with its absence. Still, overall the new version seems like something that most Trados users would eventually want to upgrade to. It’s a bit like when Microsoft upgraded Office 2003 to Office 2007. This comparison to the Office versions seems particularly appropriate because the most immediately noticeable change is the demise of the menus and the rise of the ribbon. The truth is that power users like you and me who work in the translation environment tool(s) of our choice are not likely to be heavy menu users, anyway. At least I’m not. I use keyboard shortcuts wherever possible—and if those are not available, I typically find them on the ribbons (provided that they are organized in a logical manner, which remains to be seen with Trados 2014). What else is new? The most prominent new feature is that the Trados 2007 application WinAlign has finally been replaced with a Studio-native alignment tool. There are two features that set the new alignment tool apart: First, it allows you to align a text and retain in-context matching information so that you can get context matches (aka 101% matches, ICE matches, or guaranteed matches) when it comes to using the translation memory for translation. Second, there is a slightly more nebulous option called “alignment quality value.” This is a setting that allows the user to adjust the confidence level of the match. Once the alignment is done, the aligned segments are not shown in an alignment editor, where you can modify the alignments, but right in the translation memory view. A couple of other features that I like are the possibility to view any combination of files within one project in a single view. This is something that other tools have been offering for some time, but it will doubtlessly delight existing Trados users. • CafeTran is small, it’s cheap, it’s easy to learn and maintain, and it’s definitely not built for corporate use! • It’s a tool built for the freelance translator that aims to give as much of a true translation environment as possible. • It’s written in Java, so it’s platform-independent. • It supports text, XML, HTML, MS Office XML, and OpenOffice formats. • It provides an easy integration of queries to Internet-based resources (sort of like IntelliWebSearch). • It has an auto-complete feature of already-typed text. • It offers an extraction feature of frequent terms for glossary-building purposes. A few of these details have changed, though the gist is still the same. The tool itself, though, is much more than it used to be—so much so, in fact, that I would no longer call it an “easy tool.” It supports many more formats than it used to, and offers additional features that are very, very clever. Igor told me that “it’s a challenge to rival the teams of excellent programmers from SDL, Kilgray, or Atril, and I made a rule to avoid examining other CATs not to get overwhelmed.” This approach has lead to solutions that are unique to this tool. kim posted this article under Business Tools, Reviews	on Sunday, December 1st, 2013 at 12:02 pm	You can follow any responses to this entry through the RSS 2.0 feed. Both comments and pings are currently closed. Next Article → INTRODUCING NCTA WEBINARS!